The Evolution College Prep Program traveled to New Jersey this weekend to close out the fall season in spectacular fashion. 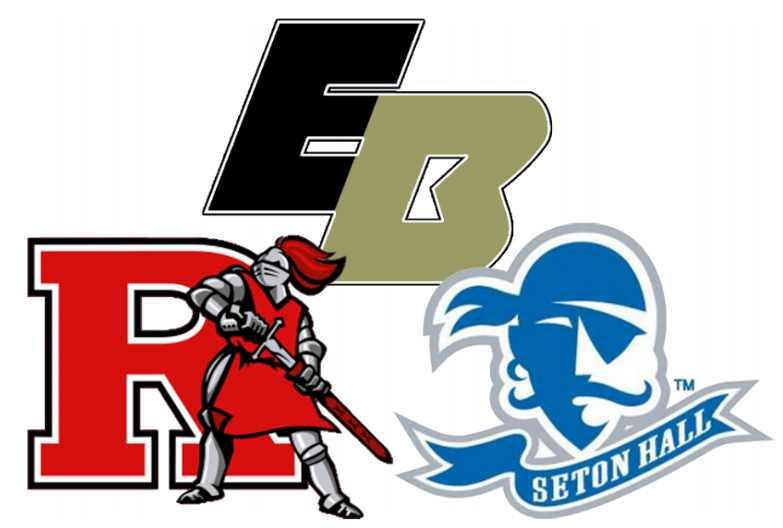 Twenty-three high school athletes and their family members took advantage of an incredible opportunity to participate in 4 hour workouts with the coaching staffs at both Rutgers University and Seton Hall University. In addition to having the chance to showcase their ability in front of a Big Ten program (Rutgers) and a Big East program (Seton Hall), what made this past weekend so special was the fact that it was designed for and open exclusively to Evolution team members only! 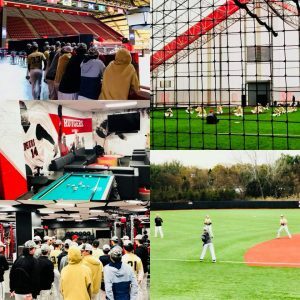 Saturday saw the boys travel to Rutgers University (home of MLB All-Star Todd Frazier and Patriots DB Devin McCourty) in Piscataway, New Jersey to work with Head Coach Joe Litterio and his impressive staff. The Scarlet Knights recently made the move to the Big 10 conference where they will play the likes of Penn State, Ohio State, University of Michigan, University of Maryland, and Indiana University to name a few. The transition to a power five conference came with some perks, including a brand new, 3 million dollar, 22,500 square foot indoor training facility (The Fred Smith Center) which the Evolution players were able to take full advantage of. The Rutgers coaching staff features one of the premier pitching coaches in the country in Phil Cundari, who was named the 2011 NCAA National Pitching Coach of the Year, and Jim Duffy, who was the head coach at Manhattan College before joining the Rutgers staff. Given the intimate setting, coach Cundari was able to dedicate at least 15 minutes to each pitcher during the bullpens. Needless to say, the boys benefited tremendously from the personal attention and instruction. During the four hour workout the players were put through a dynamic speed and agility workout, a pro-style defensive combine, the 60 yard dash, group hitting sessions, specific defensive instruction by position, and bullpens for the pitchers. At the conclusion of the workout the coaching staff took players and parents on a tour of the baseball facilities, and wrapped things up by inviting parents and players out onto the field for a Q & A on the college recruiting process. The tremendous weekend continued on Sunday as the Evolution boys traveled up I-95 to South Orange, NJ — home of the Seton Hall Pirates. Seton Hall, the alma mater of hall of famer Craig Biggio and Red Sox legend and AL MVP winner, Mo Vaughn, competes in the Big East conference (along with Xavier, Creighton, Villanova, St. John’s Georgetown and others). Longtime head coach, Rob Sheppard and his recruiting coordinator, Mark Pappas, were there waiting to greet the Evolution families with big smiles. 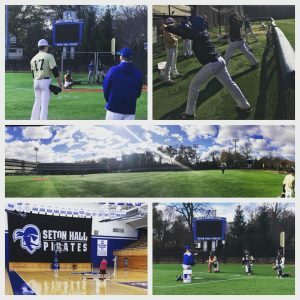 The Seton Hall staff also put the high schoolers through a rigorous workout, including on-field batting practice, a 60 yard dash, bullpens and a recovery regimen for pitchers, catching instruction, and defensive instruction specific to each position. The afternoon at Seton Hall concluded with an impressive tour of the baseball facilities, including their weight room, locker room, state of the art film room, academic center, basketball gymnasium, and indoor cages. Coach Sheppard also made sure to save time for a discussion on the recruiting process with the parents, which took place in the film room. Parents were able to speak directly to the head coach for about 20 minutes, having their questions answered by one of the top coaches in the northeast. Having access to exclusive events such as these is just one of the benefits of being a member of the Evolution Family. We look forward to having the ability to offer similar events in the near future, including an Evolution only prospect camp at Bryant University on December 17th!